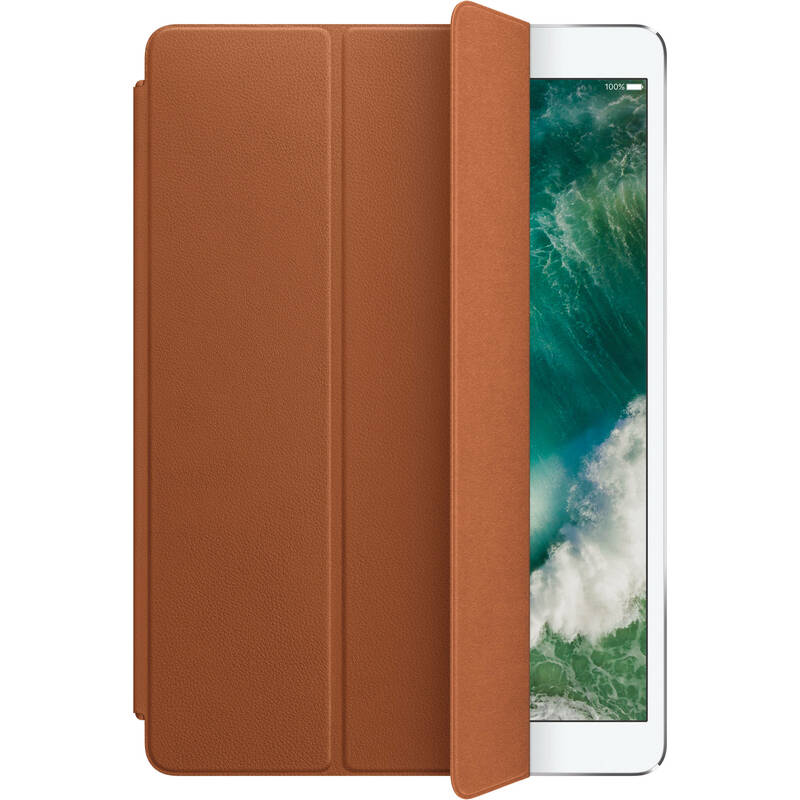 Protect the screen from scratches with the saddle brown Leather Smart Cover for 10.5" iPad Pro from Apple. Lightweight, durable, and crafted from leather, this cover attaches to your iPad via built-in magnets. For your convenience, it can also be folded back to double as a keyboard stand, ideal for writing, drawing, and watching videos. When opening the cover, your iPad will automatically wake up. Close it and it'll go back to sleep. Box Dimensions (LxWxH) 10.8 x 7.5 x 0.4"
Leather Smart Cover for 10.5" iPad Pro (Saddle Brown) is rated 4.0 out of 5 by 2. Rated 3 out of 5 by Ginny from Not what I was expecting I was wanting a FULL cover for front and back, this is only for the front when not using or folded up to use as a stand.